There are only two places we think of when we have cravings for pizza, and California Pizza Kitchen (CPK) is one of them. It’s easy to find a decent piece of pizza, but for it to be awesome in our books, generous amount of fresh ingredients and cheese must be used. The thickness and crunch of the dough is very important too. The cream based Roasted Artichoke & Spinach with chicken pizza worked well in enhancing the unique taste of the artichoke. 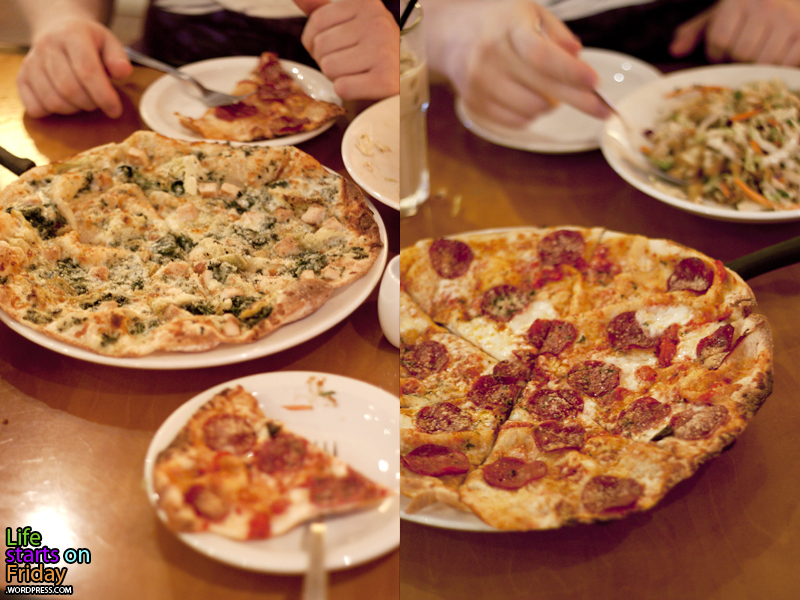 As for the Pepperoni Supremo pizza, it was the best pepperoni pizza we have tasted in Singapore so far. Nothing beats quality Italian sausages on a tomato based skinny pizza. The Works pizza was an equally good pizza with italian sausage and pepperoni; it had more greens (onions, green peppers and olives) if you prefer a more varied taste. 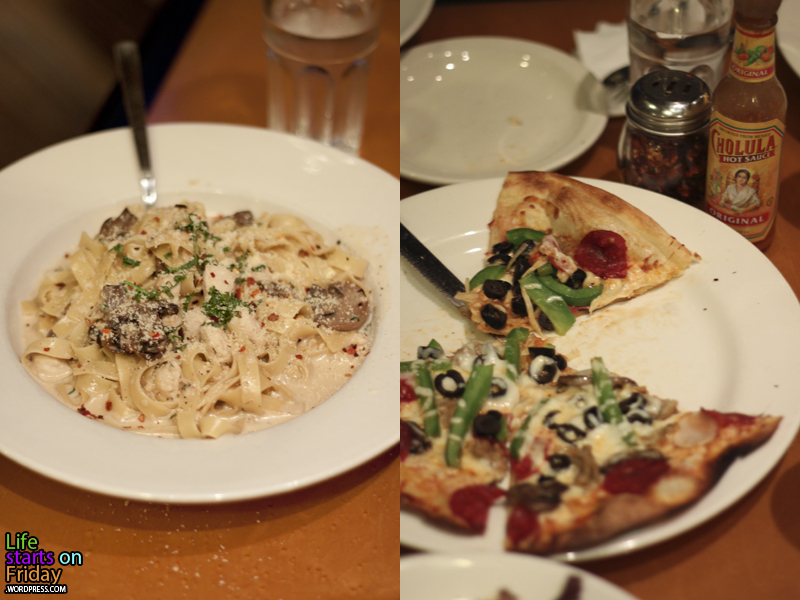 The Chicken Fettuccini Alfredo Pasta was alright but nothing remarkable as you would expect out of a pizza place. 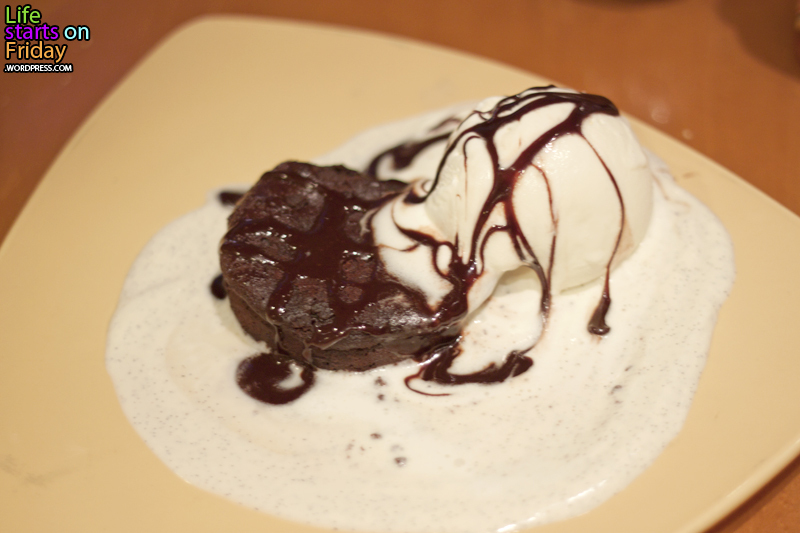 The Chocolate Souffle Cake à la mode was the bomb! We had to go back a week later to eat it again because it was that good. It wasn’t too sweet even though it was a combination of all our favourite things: chocolate, souffle, cake, vanilla ice cream & incredible homemade hot fudge! 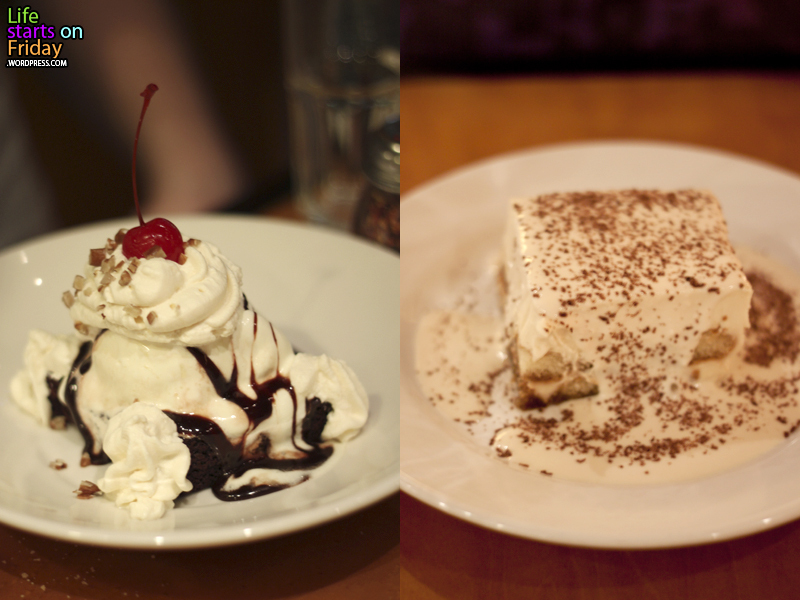 The Hot Fudge Brownie Sundae and Tiramisu were great too, but the Chocolate Souffle Cake trumped all. We would probably give the Warm Apple Pie Pizza a try the next time we are there. The salads were not the highlight of the meal, but they were delightful too. I thought of NYC and Gossip Girl when I saw the Waldorf Chicken salad on the menu and it certainly tasted like how I would imagine it to be with the field greens, crandied walnut, Granny Smith apples, grapes and homemade Dijon balsamic vinaigrette. 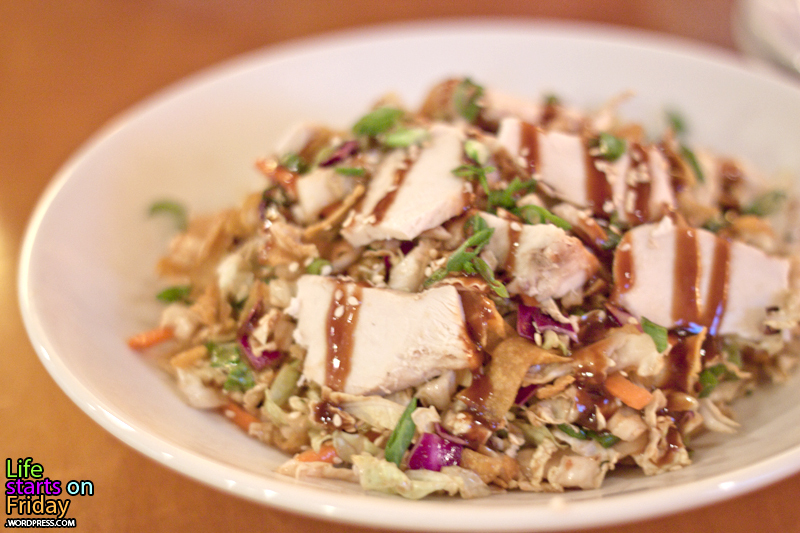 The Chinese Chicken Salad was quite an interesting eat with ingredients such as napa & red cabbage, lettuce and even fried wontons and sweet & sour dressing. * This review is a combination of two trips to CPK. This entry was posted in Weekend belly treats and tagged food, hot fudge, photography, pizza, souffle, yummy by lifestartsonfriday. Bookmark the permalink.